When your baby is starting to eat solid food, he would need a suitable place to be fed and having a proper high chair is important. He would eventually want to hold the spoon by himself and try to eat on his own so having a good seat and table is appropriate. There are different types of high chairs and some of them are multipurpose. We’ve made a list of the best ones available. As babies grow bigger, they could be difficult to feed. They will start throwing food on the floor or on you! There are things that you could do to make this task easier. You can make feeding time fun so they’ll look forward to it. Here are some tips for happy mealtimes. For smaller babies, you need to have them close to you on a proper bassinet always and this guide on the best bassinet will help you pick one. So how do you know which high chair is best for your little one? Our list includes your best options and this is based on safety, functionality, and design. Number one on our list is the Ingenuity Trio Ridgedale High Chair. This is a 3-in-1 high chair that transforms from a full-size high chair to a booster seat and toddler chair. It grows with your baby as he gets bigger. The seats can also be separated so it can accommodate two children at once. This is great for siblings. It has a multi-level recline position so your child can sit comfortably. The tray and the insert are dishwasher safe so they’re easy to clean. Its seat pad is also machine washable. This is great for infants and bigger kids. 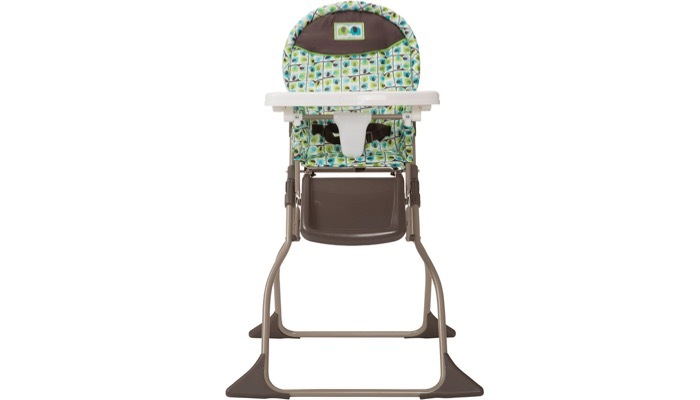 Second on our list is the Graco SimpleSwitch Highchair. It’s a two-in-one chair that converts into a booster seat when your child is bigger. It features a 3 position recline and 5-point harness so you can make sure that your baby is positioned correctly on the chair. It’s also very secure. 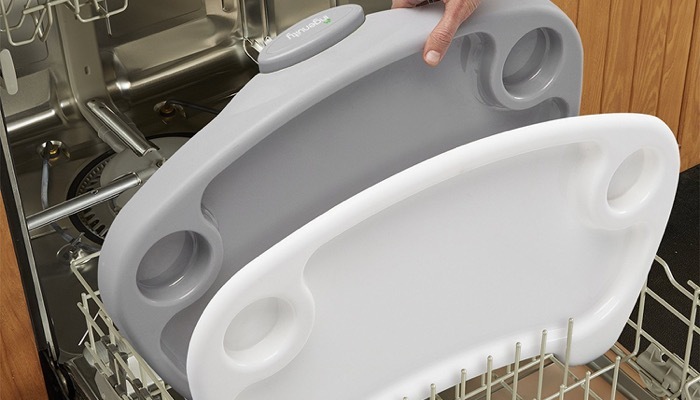 You can remove the tray with one hand so you can hold your baby on the others so you can multitask. The seat pad is machine washable so clean up is easy. Its legs have built-in storage that you can use once you convert it to a booster seat. It has a great design and is very durable. If you want something you can bring with you when you travel, the ciao! baby Portable Travel Highchair is your perfect option. It’s a practical solution for families who are always on the go with their young ones. 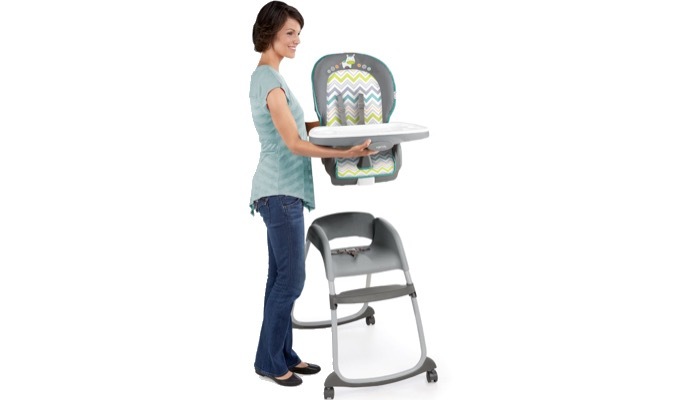 This is a free standing high chair that is portable and comes with a convenient carry bag as well. It’s great for camping or for when you are traveling to the beach. You can take this with you during picnics, camping, vacations, or going to other relatives’ houses. It’s an all in one piece and requires no assembly so it’s very convenient to bring. Another great alternative is the Fisher-Price Spacesaver High Chair. This is not a full standing chair but you can place it on top of your regular dining chair to save on space in your dining room or wherever you want to place it. This is perfect for small size homes. 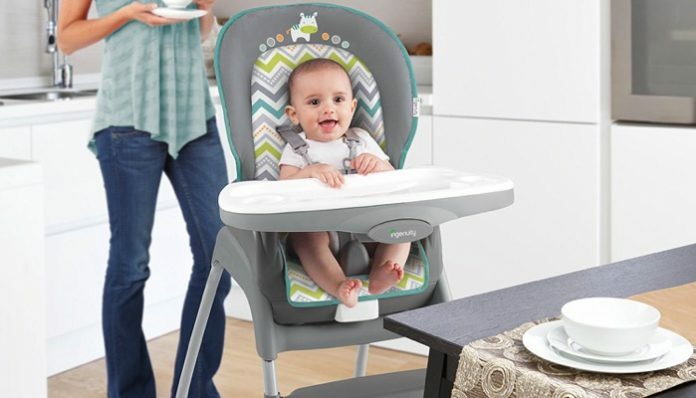 Despite its size, it has all the features of a full-size high chair. It also converts into a booster seat so your child can use it when he is a toddler. The 5 point and 3 point restraint or harness add security. 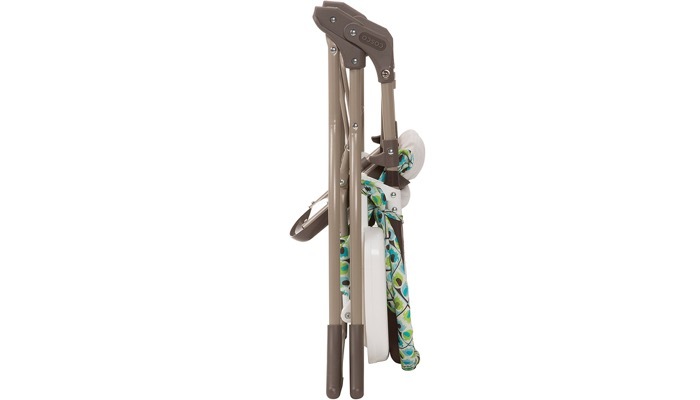 It also includes a FastFinder Link where you can hang bibs, towels, and toys. 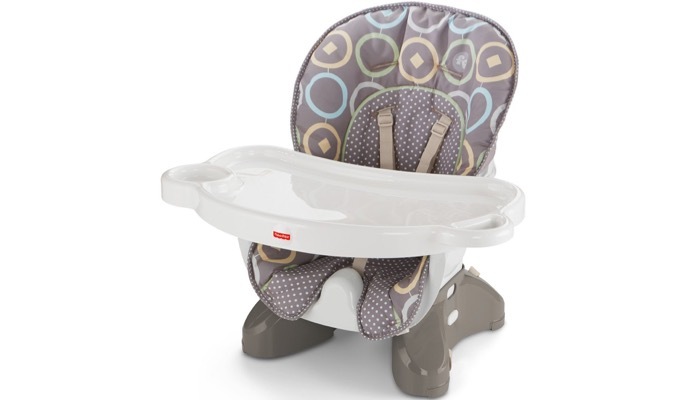 You should also consider the Cosco Simple Fold High Chair. This is also a compact chair that features an easy fold design so you can take it along for the ride. It’s a full-size chair with a 3 position adjustable tray that grows with your child. This means that they will have extra room when they’re bigger. It includes a 3 point harness to secure babies up to 50 pounds. It’s easy to clean because the seat pad is wipeable. This is easy to set up in seconds so you can use this at home or outdoors, or when traveling. 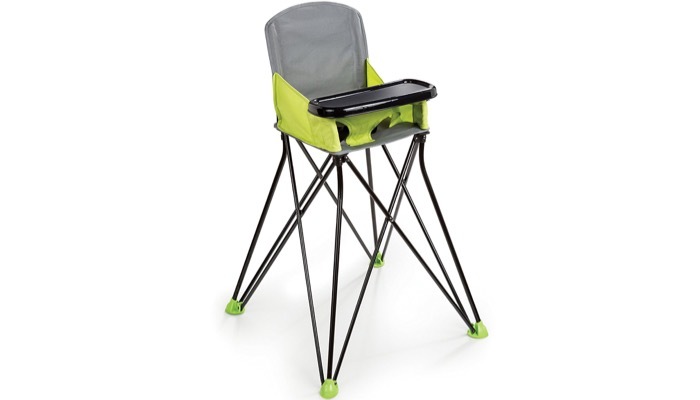 A nice functional and also very affordable alternative is the Summer Infant Pop N’ Sit Portable Highchair. 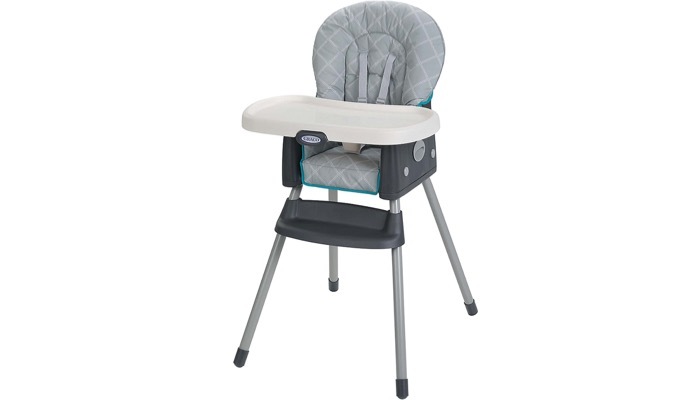 This is a lightweight high chair with a folding frame that you can setup in seconds. It’s portable so you can bring this with you when you travel. The hard plastic tray provides a clean space for eating and is sturdy enough so that the food will not fall on your baby’s lap. It has a machine washable fabric so it’s easy to clean and maintain. You can store other supplies in the rear storage and it comes with a storage bag for easy travel. 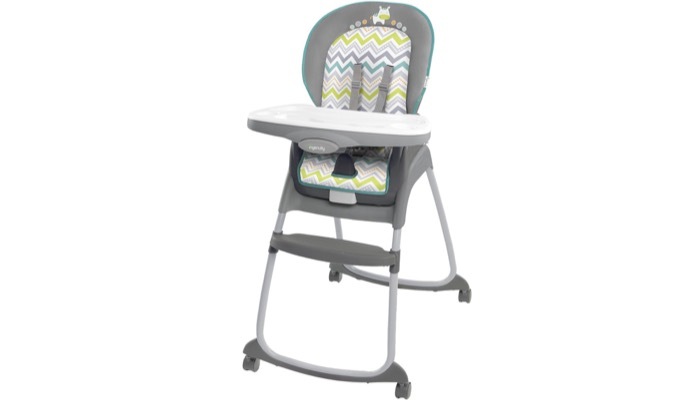 Choosing the right high chair will make feeding time easier for both you and your baby. There are several factors to consider depending also on your unique needs. As with any items that you will let your child use, it’s important to keep safety first in mind. The chair should be durable and the wheels should lock in place. 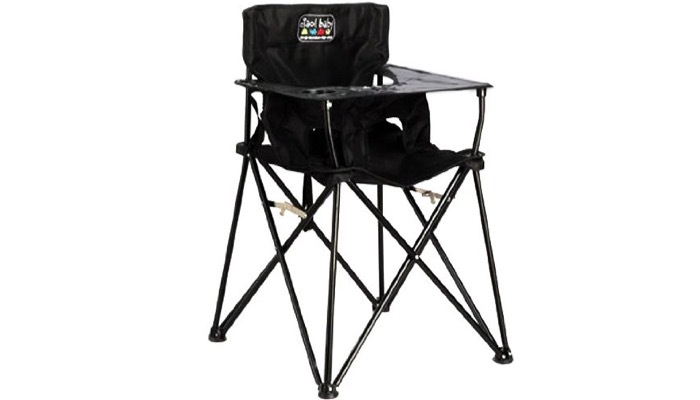 If you choose a folding chair, make sure that the frame locks properly. Good high chairs include a safety harness to keep your baby secure. Some include both 3 points and 5 point harness so that you can use it for your child from infant to toddler. The tray is also an important part of the high chair. An adjustable tray is a great feature because it will give your kid enough room when he gets bigger. Some also feature dishwasher safe trays so they’re easy to clean. Your high chair should be easy to assemble. And if you choose a portable one, it should be easy to fold or disassemble as well. If you’re buying a high chair for the first time, it’s best to invest in a 2 in 1 or 3 in 1 chair so that it grows with your child. These can usually be converted into a booster seat for toddlers. No matter what type of high chair you select, make sure that it is also easy to clean because meal times can get messy. Look for machine washable seats for easy cleanup.